We’re finally getting some rain in central Texas. We’ll see how long it lasts! And on the topic of rainmaking, this just in from our friends at Nucleus Research. Nucleus conducted an analysis of 21 of IBM Smarter Commerce case studies and their ROI, and discovered that for every dollar spent, companies realized an average of U.S. $12.05 in returns. According to the research, this payback occurred in an average of 9 months (with a high of 23 months, and a low of two). The cases Nucleus analyzed included U.S. and European companies and government agencies which had deployed IBM Smarter Commerce technologies. All the case studies were developed independently by Nucleus, following their standard ROI methodology, and IBM was privy to the results only after the research was completed. In their analysis, Nucleus also observed some summary conclusions, finding that Smarter Commerce projects delivered both top-line and bottom-line benefits, with roughly 60 percent of returns coming from indirect benefits such as productivity, and the rest from direct savings such as reduced operational costs or hires avoided. Increased productivity. In many cases companies were able to accomplish more work with fewer staff or avoid additional hires as they grew by automating previously manual processes and increasing employee productivity. Reduced costs. Smarter Commerce customers experienced cost reductions in areas such as customer call handling costs, technology costs, and other costs associated with supply chain transactions. Improved inventory management. Greater visibility into customer demand and inventory levels enabled Smarter Commerce customers to gain better control over their inventory, reducing inventory carrying costs and increasing inventory turns. Improved decision making. Greater agility and rapid insight into data for decision making enabled companies using Smarter Commerce to more quickly make decisions and act on them with confidence. Reduced customer churn and increased customer satisfaction. Companies using IBM Business Analytics were able to more rapidly understand customer satisfaction and retain more profitable customers by proactively addressing customers’ propensity to churn. For example, one telecommunications customer was able to reduce customer churn by 8 percent in the first year and 18 percent in the second year by further refining its churn analysis. Nucleus indicated that the $12.05 average return from Smarter Commerce was at the high end of the range of returns Nucleus had seen from other assessments of deployments such as analytics and CRM, and many IBM Smarter Commerce clients indicated they had achieved high returns by taking advantage of the investments IBM has made in providing integrated solutions, more intuitive user interfaces, and prepackaged industry functionality. Integrated solutions and prepackaged industry functionality accelerate time to deployment and time to value while reducing overall project risk. Usability improvements drive more rapid adoption and make it easier for companies to drive adoption of technologies such as business analytics to casual and business users beyond the data expert specialists that have historically been the primary users of analytics. Industry-specific functionality and expertise were particularly important in the success of customers adopting Smarter Commerce technologies in the government sector, such as social services agencies and police departments, where IT often has limited resources. You can go here to download the full report. Middlemen have gotten a pretty bad wrap since the Internet came along. First, it was the travel agents, who were one of the first to be “disintermediated” by sites like Expedia, Orbitz, etc. Why hire a person to do what a computer and network could do? At IBM, we’re only supposed to employ our American Express travel agents when we’re traveling overseas. I, personally, don’t mind using our Online Travel Reservation system for planning my travel, but that Web-based system has never been the same as talking to a really good Amex travel agent, and it certainly has never made me laugh. So this story in The New York Times caught my eye, which explains how e-commerce companies are “bypassing” the middlemen in a variety of e-commerce verticals. From eyeglasses to office supplies to bedding to nail polish to shaving supplies, there are host of “smarter commerce” e-commerce ventures popping up that are “controlling the supply chain,” providing products and services to end consumers at lower costs than many big retailers while pocketing the disintermediated profits. But before you leap headlong into a Web server (which, let’s be frank, could hurt! ), let’s not forget that physical presence still matters. CNBC reports that “what’s old is new again” for some e-commerce retailers, outlining that a “growing number of online retail companies are setting up physical stores” in response to trends like “showrooming,” whereby consumers do in-store flybys only to later make a purchase online. So what’s next? One could easily envision pop-up stores emerging in highly-trafficked areas around the world: airports, train stations, even shopping malls, where consumers could “touch and feel” the merchandise and then get incented to go and make an actual purchase online. Now if they could just figure out a way to make those in-store mannequins just a little less creepy. ING DIRECT Canada’s mobile application, developed with IBM, delivers customers with a dashboard view based on their most frequent banking activities. IBM is making a fast start with its new “Mobile First” initiative, which is intended to help companies around the world bring all their resources together to strengthen customer engagement, whenever and wherever the customer wants, and on the customer’s favorite device, which is increasingly a mobile one. IBM client ING DIRECT Canada is applying a “smarter commerce” approach to consumer banking with IBM’s help in meeting the growing expectations of its 1.8 million customers. IBM announced today that it is working with the online bank to deliver innovative financial services that improve ING DIRECT’s customer experience including simplified account access across mobile devices and social media channels, voice recognition, and advanced security. 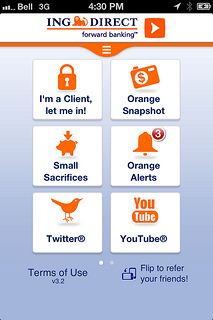 Based on IBM software and services, these innovations support ING DIRECT’s Orange Snapshot initiative, designed to provide its clients greater control to manage their accounts within their increasingly mobile and social lifestyle. Orange Snapshot gives mobile consumers a complete and simplified view of all their accounts, as well as bill payment and email money transfers, in two easy clicks. This allows consumers to sign on once from their mobile device, saving time and aggravation from multiple log-ins. Working with IBM, the bank’s latest mobile innovation allows clients to easily and securely access their ING DIRECT account information from within Facebook’s social networking site. Clients who opt-in to this app are able to view their account balances, history and pending transactions as well as receive account notifications — real time messages automatically pushed to them within Facebook. With security and privacy always top of mind, ING DIRECT plans to expand this application further to include transactions such as transfers, bill payments and email money transfers. Furthermore, ING DIRECT allows clients to share their experiences through Facebook and Twitter to make saving money more intriguing. In a recent survey, ING DIRECT learned that 52 percent of consumers were able to forego non-essential purchases when they could better visualize the impact of their spending habits. IBM’s Smarter Commerce initiative is designed to help businesses better connect with the rising tide of digital consumers who prefer to buy through online, mobile and social channels. It is estimated that there are more smartphones on the planet than humans. According to IDC, by 2016, more than 10 billion smartphones will be in use around the globe. In Canada, more than half of smartphone users bank from their devices — and that number grows higher when looking at users between the ages 18-34. ING DIRECT continues to work with IBM in seeking new ways to connect to mobile applications in order to advance sales, manage secure transactions, and provide new insights about clients. The bank has begun experimenting with new voice recognition capabilities on their mobile apps that will allow clients to conduct simple banking transactions by speaking rather than typing or the application can read account information to the customer. ING DIRECT is also exploring the use of biometrics within their mobile apps for purposes such as client login to improve the client experience while maintaining the highest standards of security. Internal pilots are already yielding positive outcomes. Recently, Forrester Research, Inc. recognized IBM as a leader in enterprise mobility services, according to the February 2013 report The Forrester Wave TM: Enterprise Mobility Services, Q1 2013. You can go here to learn more about IBM’s “Mobile First” initiative. The year when all the smart, rich, famous and well-connected show up in Davos, Switzerland for the World Economic Forum. I’m sure it’s nothing personal, but once again for as many years as I care to remember, my invitation never showed. That’s okay, as things are pretty busy around here as we get off to a fast start in 2013. However, I did really enjoy Alison Smale’s big picture set up piece for Davos this in The New York Time’s DealBook. And if I were in attendance, that’s the type view I would be eagerly seeking — What are the general macroindicators and movements that smart peeps think are going to shape the year? Speaking of Germany, also increasingly normal is the threat of cyber intrusion, according to a panel at the DLD conference ending today in Munich. In coverage by Frederic Larinois from TechCrunch of Eugene Kaspersky, founder of Kaspersky Lab, the Internet security firm, and F-Secure’s chief research officer, Mikko Hypponen, it became readily apparent that cyber intrusion sophistication is reaching new levels. The cyber genie, in other words, is well out of the virtual bottle. So, let’s forget about all these woes for a few, shall we, and go shopping instead? IBM’s new study of 26,000 global consumers will be coming out soon, and the early skinny has it revealing some interesting insights, including the fact that 35 percent of shoppers are unsure whether they would next shop at a store or online. Talk about a confused consumer! It also revealed that nearly half of online purchases result from “showrooming,” a growing trend whereby consumers browse goods at a store, but ultimately buy them online. You’ve done that before, haven’t you? You just didn’t know there was a fancy name for it! 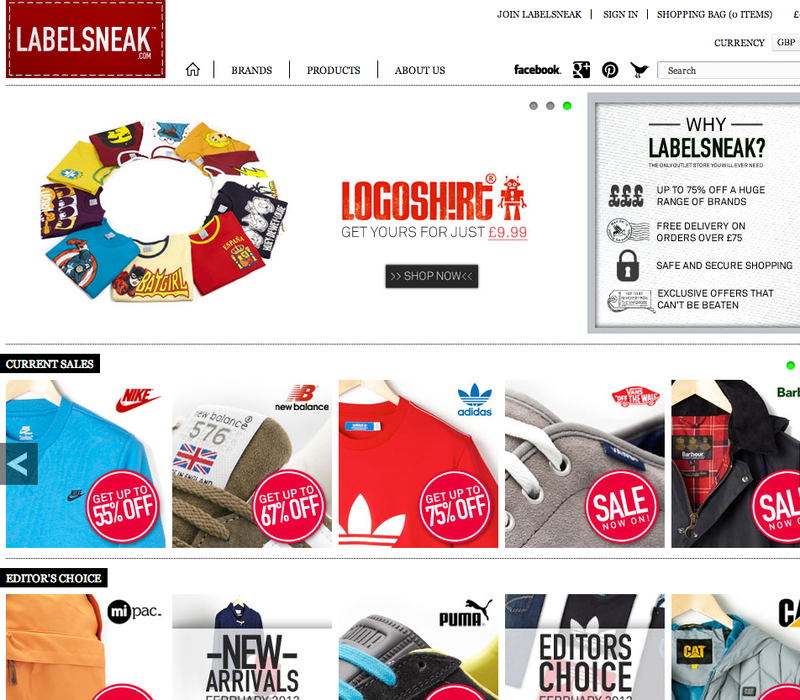 Ultimately, consumers are seeking an integrated shopping experience. So, in response, retailers need to connect their online and physical stores, blending the benefits of each — from research to purchase to building brand loyalty, to that ultimate golden chalice of retail, repeat sales. IBM is helping through its analytics capabilities, helping retailers measure sales metrics across digital channels to spot consumer buying patterns and visualizing product display, promotions, and even coupons in new ways. Visit the IBM Smarter Retail web site to learn how your organization can create an integrated shopping experience. 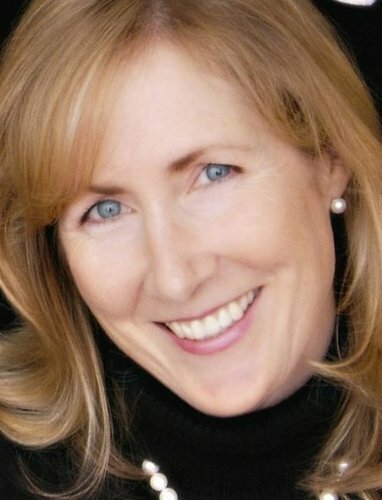 lisa Maclin is Vice President of Marketing for IBM’s Smarter Commerce initiative. IBM’s Smarter Commerce portfolio consists of software solutions, including over $2.5B in recent acquisitions, as well as consulting and implementation services and workload optimized systems. Alisa Maclin is Vice President of Marketing for IBM’s Smarter Commerce Initiative. Smarter Commerce is a unique approach designed to help companies better integrate and more effectively manage their value chain — including buy, market, sell, and service processes — to put the customer at the center of decisions and actions. IBM’s Smarter Commerce portfolio consists of software solutions, including over $2.5B in recent acquisitions, as well as consulting and implementation services and workload optimized systems. Previously, Ms. Maclin was Vice President of Market Strategy and Planning for IBM Global Business Services, with responsibility for developing and executing marketing strategy for IBM’s consulting and application management business worldwide. Ms. Maclin has more than 20 years of global marketing and sales leadership experience at IBM, including executive roles in IBM’s Software, Global Services, and Sales and Distribution divisions. We discussed this, and much more, during our few minutes together in Singapore.